A host of props, costumes and memorabilia from the latest James Bond film Spectre will soon go under the hammer to raise funds for various charities. 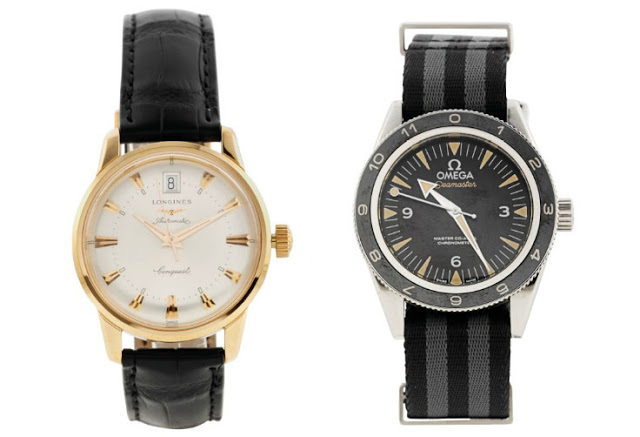 Amongst the 24 lots are three wristwatches, including the Omega Seamaster 300 worn by Daniel Craig. Christie’s in London will soon offer for sale objects from Spectre at James Bond Spectre – The Auction, a thematic sale dedicated to the 2016 James Bond film. The most important timepiece in the sale is undoubtedly the Omega Seamaster 300 Spectre (lot 9) worn by Daniel Craig in the film, one of just eight prototypes made. Estimated at £15,000 to £20,000, history suggests it will sell for significantly more – the last watch worn by Craig in a film went for over US$250,000. Lot 3 in the sale is the Longines Conquest Heritage worn by Ralph Fiennes, who was M in the film. This is estimated at £5000 to £7000. The rest of the sale includes items like the gold ring worn by Franz Oberhauser, the villain played by Christoph Waltz, and even the Aston Martin DB10, one of just ten made. Bids at this sale will neither be taxed or levied a buyer’s premium, and all proceeds will go to charity, including Doctors Without Borders. An online-only sale takes place from February 16 to 23, with 14 lots up for grabs, while the live sale in London for the remainder happens on February 18. Further information on the auction is available here, while the full catalogue can be seen here.